These shining cards will add some cheer and delight to the holiday season! 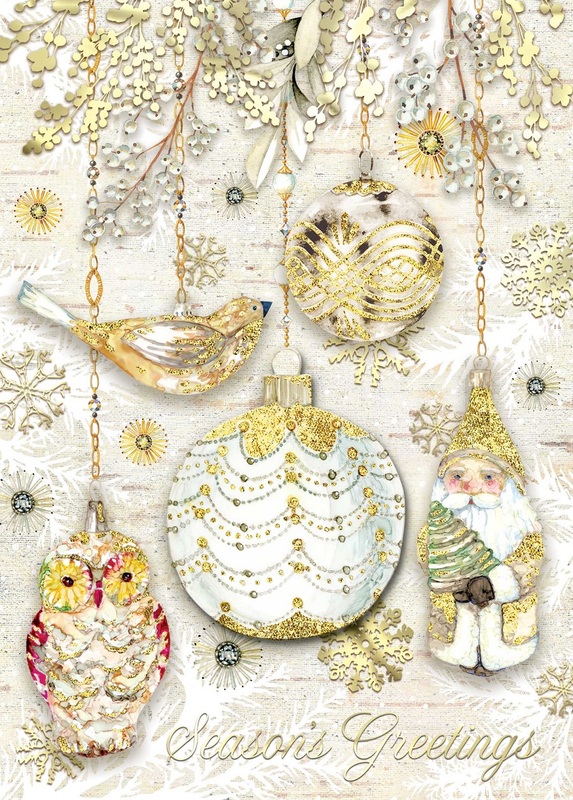 They feature a design of gold and white ornaments. 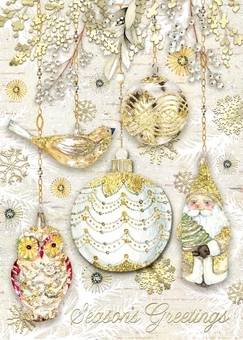 Santa Claus, a bird, an owl, and some classic Christmas balls dangle on the front, accompanied by "Season's Greetings". Gold foil and glitter add a sparkle!